I always believed that French people are great explaining their history and also they make a great effort to try to remember it. The most part of their country is a reflection of a people proud of their culture. That’s very impressive for me and also admirable. Once I arrived back home I started to realize how important the place I was standing up looking at a one of a kind piece of history. 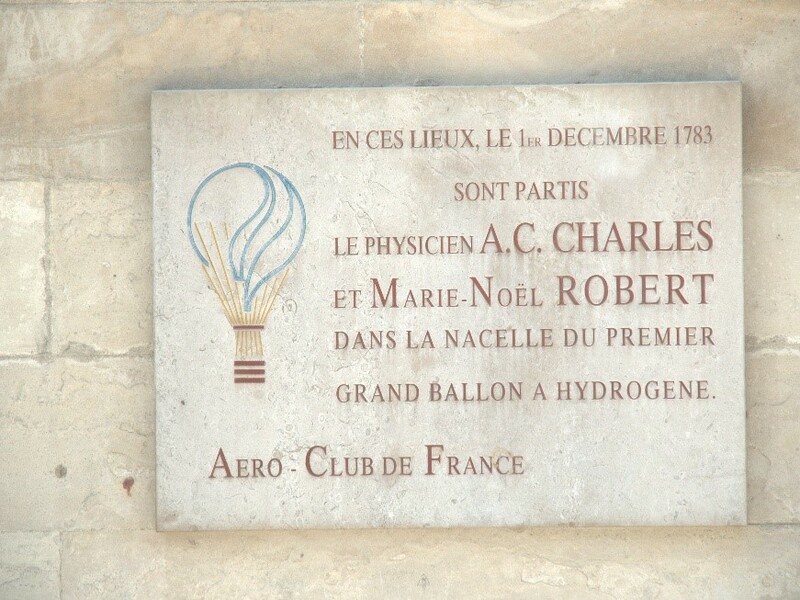 On December 1, 1783 A.C. Charles and Marie-Noël Robert launched the first manned hydrogen balloon flying a total distance covering 36 km from Tuileries garden in Paris to Nesles-la-Vallée. It was a 380-cubic-metre hydrogen-filled balloon and the crew ascended to a height of about 500 m above the sea level. They managed/operated the balloon with a hydrogen release valve and the balloon was covered with a net by which the basket was suspended. They also carried a barometer and a thermometer to measure the pressure and temperature of the air, making this not only the first manned hydrogen balloon flight but also the first balloon flight to provide meteorological measurements of the atmosphere above the Earth’s surface. The most amazing fact about this world class event was that it’s reported they had more than 400.000 spectators for a “close up-view” of the take off including Benjamin Franklin himself!. They also had a crew of chasers on horseback led by the Duke de Chartres. 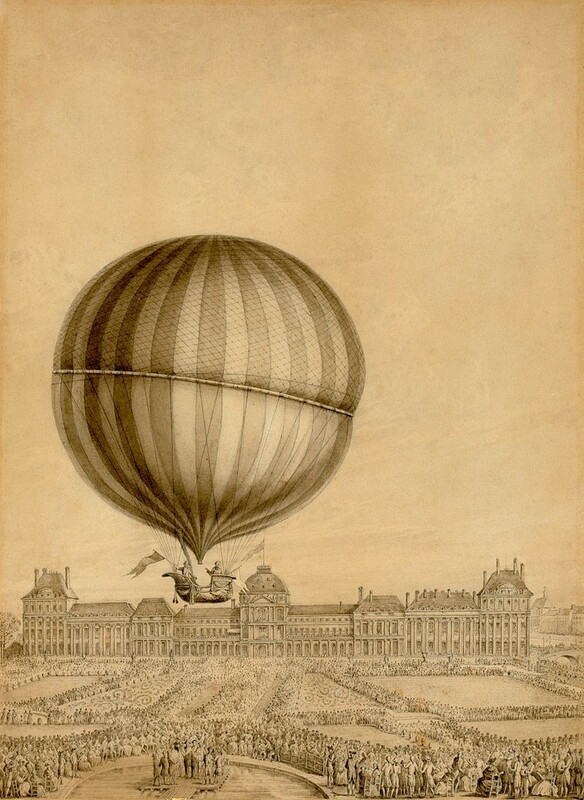 For placing this launch into the history I only would say that the first untethered and manned hot-air balloon was designed by Montgolfier brothers and took off from the Bois de Boulogne, Paris, on November 21, 1783 preceding by for a few days the launch of the “premier grand balloon a hydrogene” by the pioneers A.C. Charles and Marie-Noël Robert. Illustration of the first manned hydrogen balloon flight. Source: Wikipedia. 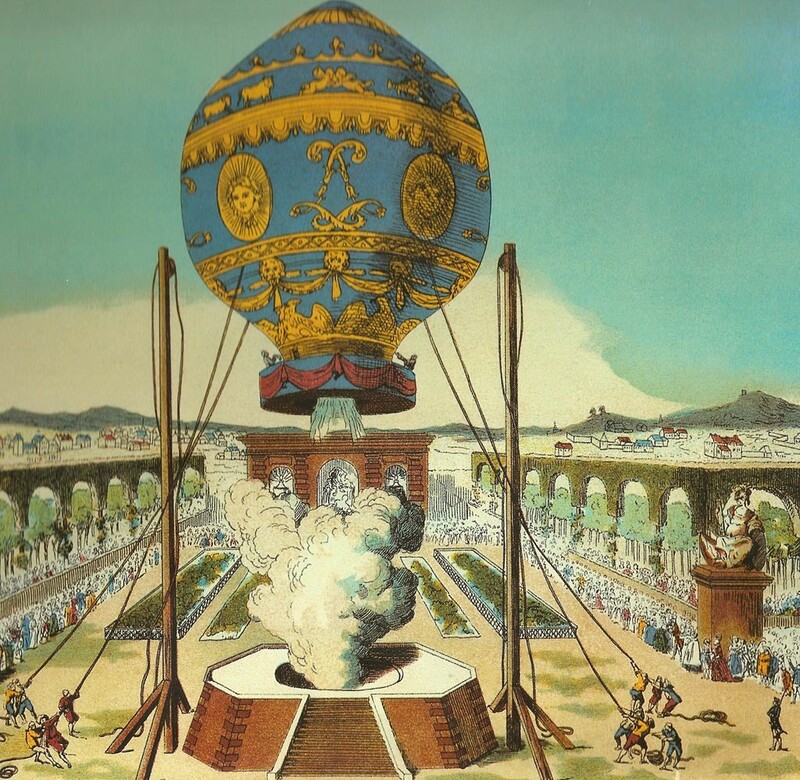 The first manned hot-air balloon. Source: Wikipedia. 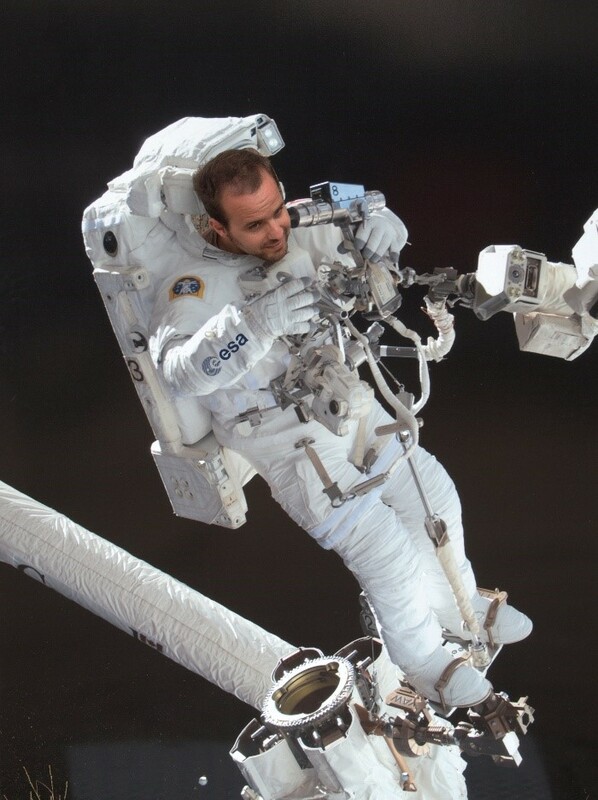 Visiting this museum you will have a unique chance to follow in the footsteps of inventors and pioneers of progress and explore scientific and technical knowledge in depth. An amazing museum away from the most crowded spots in Paris during summer.